Advance Housebreaking Pads are on my hardwood floor by the back door. These, so far, do not leak. Previous products I have tried were disappointing. When you have to be out of the house for hours at a time, these pads are helpful. This brand of pad looks similar to ones used in hospitals, so I will price these and compare the price with ones used for humans and find the better buy. Cheap dog toys are important. At Walmart this week I found a bag of four loofa dogs for $5. In colors of purple, black, neon green and orange, at $1.25 I did go over my $1 rule for a stuffed toy, but it is Halloween. Check through the Halloween decorations area, not the pet products department. Windy and Jake are looking at this bag of toys by my laptop. I’m a well-trained sucker. Please excuse me while I go find some scissors. 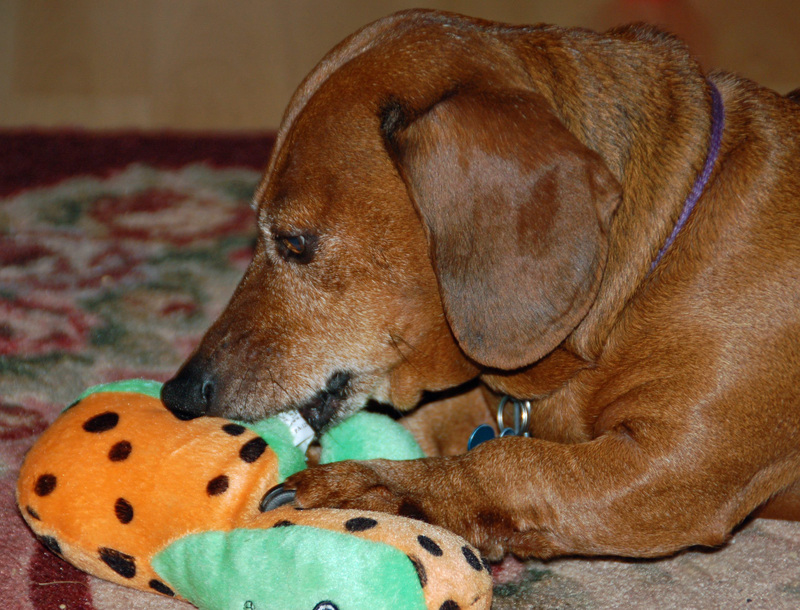 This entry was posted in Dachshunds, Dog Toys, Uncategorized and tagged dog toys, Housetraining Pads. Bookmark the permalink.